The Stubbs Carousel Bridle Rack has a revolving design is both attractive and space saving. Permitting the display, storage and cleaning of six bridles. Eye catching and proving very popular with considerable surprise being expressed about its price! 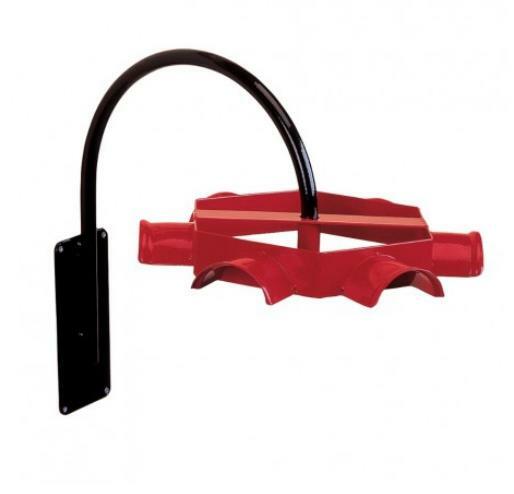 Black Stubbyfine coated steel wall bracket and Red carousel. Lies flat for packaging and assembles with a single spring clip. There are currently no questions for Stubbs Carousel Bridle Rack - be the first to ask one!